Frederik Buyckx (b.1984, Belgium) received his master’s degree in advertising design at St-Lucas Antwerp and studied photography at the Royal Academy of Fine Arts in Ghent. In 2010 he became a freelance photographer and has worked on assignments for National Geographic Magazine, The New York Times and the Belgian Newspaper De Standaard. Besides his freelance assignments he also works on independent photo-essays. His latest work Jesus, Make-up and Football about the favelas in Rio de Janeiro won several prizes such as : Honorable Mention in World Press Photo, Belgian Young Promising Photographer Award, Prize Paule Pia from the Photo Museum in Antwerp and the ANI Pix Palace Award. Bego Antón (b. 1983 Spain) is a documentary photographer based in Barcelona. She studied journalism at the University of the Basque Country and specialised in documentary photography in Barcelona. Her photographic work usually explores the love-hate relationships humans have with nature and animals. She also shows particular interest in the small groups that seem strange to a part of society. Her work has been published in The Brithis Journal of Photography, Stand Quarterly and Pretty Good Summer, among others. She has been chosen as a participant in the Joop Swart Masterclass of World Press Photo 2014. Posted by Geoffrey Hiller in Falkland Islands. Jon Tonks (b. 1981, United Kingdom) studied product design before becoming a staff photographer at a local newspaper in 2005. He moved to London soon after and got a Master’s Degree in Photojournalism & Documentary Photography at The London College of Communication. Jon works for a variety of editorial and commercial clients including The Sunday Times Magazine, The Guardian Weekend Magazine, The Financial Times Magazine, Monocle and Nokia. His work has also been shortlisted for the Taylor Wessing National Portrait Prize in 2012, and selected twice for the Terry O’Neill awards. Empire is his first book and was released in December 2013. The work from Empire will tour around the UK, starting at the Midlands Art Centre, Birmingham, in October 2014. Dairy Section Jedi, Midland, Mich., 2013. Sean Proctor (b. 1989, USA) is a 2011 graduate of Central Michigan University and currently a staff photographer at the Midland Daily News in Midland, Michigan. Before landing at the MDN he interned at the Jackson Citizen Patriot in Jackson, Michigan and The Virginian-Pilot, in Norfolk, Virginia. While in college, he was a multimedia intern at Denali National Park and Preserve in Alaska. His work has also been published in The New York Times and The Wall Street Journal. Most recently he and some friends started an Instagram feed, @goes_ever_on, based on the interpretive vision of the paths we choose in our life and where they lead. Sean is the winner of the inaugural Bill Eppridge Memorial Award from the 2014 Eddie Adams Workshop. Jian Gao (b. 1987, PRC) is a social documentary photographer and staff member at Magnum Photos in New York. In 2012, he worked on a project- Red Fragments, traveling over ten thousand miles from northeastern China to the extremely far west exploring social issues caused by Chinese government policies and their environmental impact. Jian is an alumnus of Eddie Adams Workshop and was nominated for World Press Photo Joop Swart Masterclass in 2014. His work has been published in National Geographic, PDN, Communication Arts and L’ Oeil de la Photographie. His work has been shown at The Municipal Museum, Malaga, Spain. World Affairs Council, San Francisco and DUMBO Arts Festival, New York. Posted by Geoffrey Hiller in Finland. Juuso Westerlund (b .1975, Finland ) studied photography in the University of Art and Design Helsinki and Turku Arts Academy. Many of Juuso’s personal subjects deal with Finnish identity. He is fascinated by ordinary men living ordinary lives, doing or at least dreaming about something extraordinary. At the moment he is working with projects about his family and Kalevala, The Finnish national epic. In 2013, Juuso’s work was chosen among five portfolios at the Arles Photography Festival. In 2011, he was nominated as the Finnish photographer of the year. Juuso shoots a mix of personal work and commissioned work for editorial and commercial clients both home and abroad. His work has appeared in: Le Monde M Magazine, Financial Times, VICE and New York Times. Juuso is currently based in Helsinki. Luke Duggleby (b. 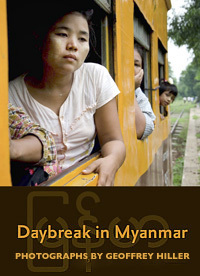 1977, UK) is a British freelance documentary photographer based in Bangkok. His work has been published in National Geographic Magazine, GEO, The Guardian Magazine, The Sunday Times Magazine, The Smithsonian and TIME. Over the years Luke’s pictures have been recognized in global competitions such as POYi, PDN Annual, IPA Awards, DAYS Japan, Photo Philantropy Awards, Px3 and as Environmental Photographer of the Year. His second book about salt making places will be published in 2015 by Mare, Germany. Luke is represented by Redux Pictures in New York.